The hotel is basic, but everything was clean. The big advantage is, that it has free parking on-site. It is not too far oiut of town, so with a bit of ambition, one can even walk tot the old town of Granada. good and free parking 🅿 place, very close to comercial senter, nice rooms. fair enough price for staying. Great value and location next to the bus station. Very friendly staff, clean rooms. 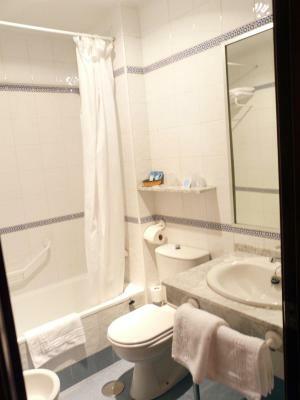 Very Close to ALSA bus location, was convenient to us because we are going to Malaga the next day. 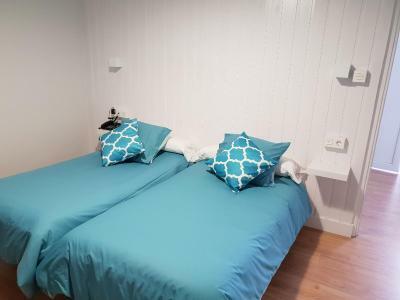 Good parking for road triper Have laundry service is a big plus, and close to supermarket! I have said this all before. Perfect home from home in Granada, which is one of the great cities of the world. Visit the Alhambra: breathtaking moorish palace, the Albaicin, the moorish district. Eat alongside the Daro, clamber around the Moroccan shops near the Cathedral, do the city tour on the "train" . The hotel is within walking distance of all these and much more. It is also literally a stone's throw from the Bus Station and is alongside the newly opened tram/subway route. Buses and Taxis go right past the Hotel entrance. 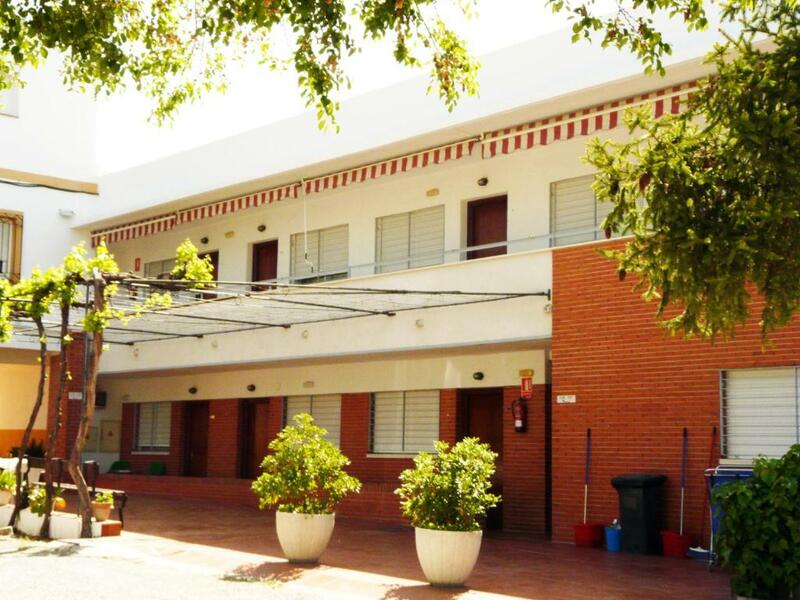 The staff are friendly, speak many different languages and are very helpful when needed. Fabulous value for money, you can't go wrong with the Sierra Nevada. The room was so spacious, the beds comfortable, several outlets all over the room, and parking was right outside our room. Very clean. Seriously can't complain about anything room- and location-wise. We travel to Spain each year and the place is excellent for us. Not that many in Spain speak English even it is required in the EU, but this place they speak fluent English. 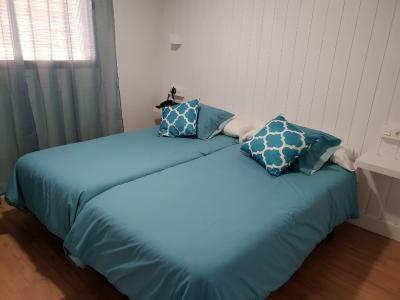 Camping Hotel Sierra Nevada This rating is a reflection of how the property compares to the industry standard when it comes to price, facilities and services available. It's based on a self-evaluation by the property. Use this rating to help choose your stay! 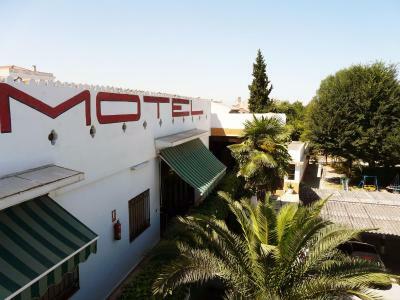 This comfortable Hotel is located 1.6 mi from the historic center of Granada, 350 feet from Granada Bus Station. 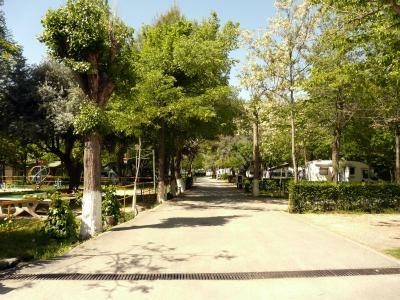 It offers a spacious gardens and free Wi-Fi. 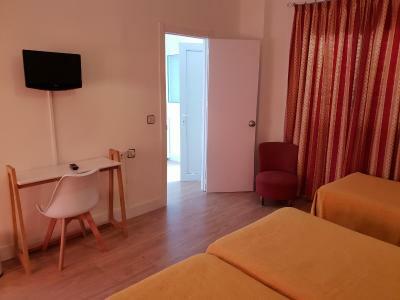 The functional, air-conditioned rooms at Camping Hotel Sierra Nevada feature TV, a desk, telephone and private bathroom. Busses to the center of Granada stop within a few feet of the hotel every ten minutes. Granada Cathedral is 1.9 mi away, while the Alhambra is located 3.1 mi away. The hotel has free private parking. 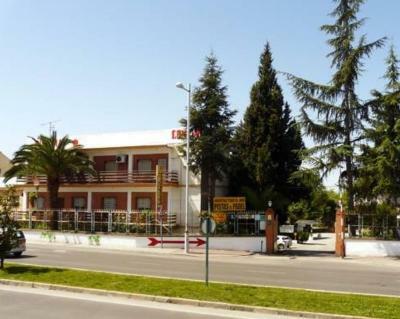 It is located 5 minutes’ drive from exit 123 of the Sierra Nevada Motorway. Federico García Lorca Airport can be reached by car in 20 minutes. 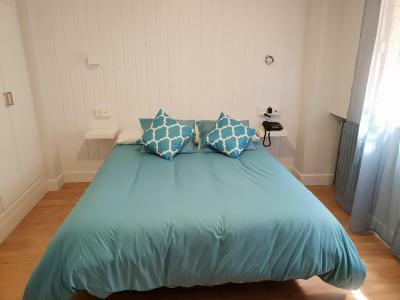 Beiro is a great choice for travelers interested in monuments, tapas and city walks. 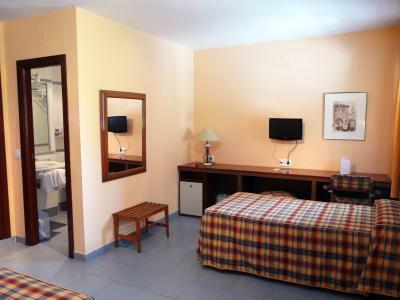 When would you like to stay at Camping Hotel Sierra Nevada? 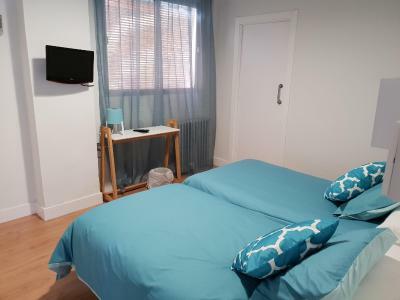 The functional, air-conditioned room features flat-screen TV, a desk, telephone and private bathroom. Free Wi-Fi is included. Hotel surroundings – This neighborhood is a great choice for travelers interested in monuments, tapas and city walks – Check location Great location - show map Guests loved walking around the neighborhood! House Rules Camping Hotel Sierra Nevada takes special requests – add in the next step! Camping Hotel Sierra Nevada accepts these cards and reserves the right to temporarily hold an amount prior to arrival. Please inform Camping Hotel Sierra Nevada of your expected arrival time in advance. You can use the Special Requests box when booking, or contact the property directly using the contact details in your confirmation. Not very clean or comfortable, the plaster on the walls was deteriorated at some places, reception staff not very polite. 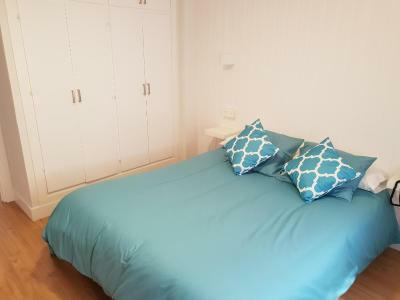 Close to supermarket and Burger King, convenient parking on site. Location is near the bus station but a bit far from the centre. Our floors could've done with an extra hoovering- they were generally fine but the clean hadn't been very thorough so there were still bits on the floor. The location is absolutely perfect if travelling from the bus station. The place is situated next door to the buses so if you want to go into the centre but without the 45 minute walk, then you can hop on the bus 33 and go to the town centre. Also, a large Mercadona supermarket is literally next door! Perfect! 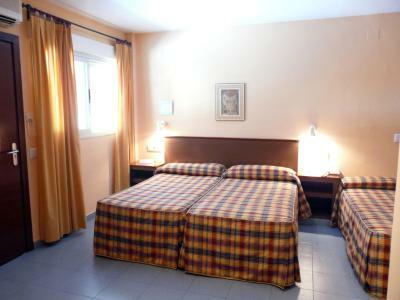 Our room was very spacious and we slept very well due to the quiet area and comfortable beds. 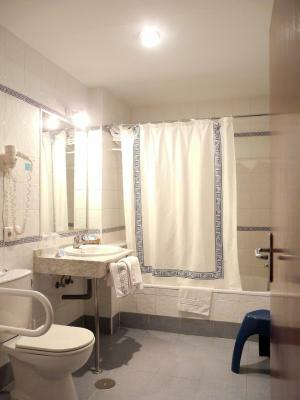 We had a wonderful hot shower and our own TV, which was a nice change having stayed in hostels the previous nights. The staff at reception are angels, the lady when we arrived in the evening was very helpful and gave us lots of information whilst the gentleman there the following day was exceptionally kind and had an amazing linguistic talent - he spoke German beautifully to the couple before us. Excellent value for money as we had our own room, bathroom and many extras like wifi and tv for the same price as some of the hostels we'd been staying at. It took a long time to get the heating to work properly. 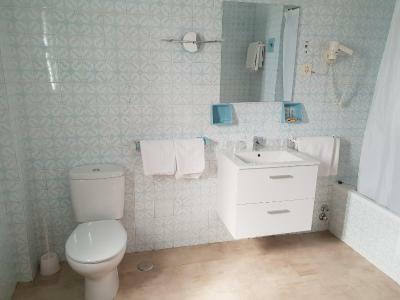 Very well located, easy to find and very good value for money. 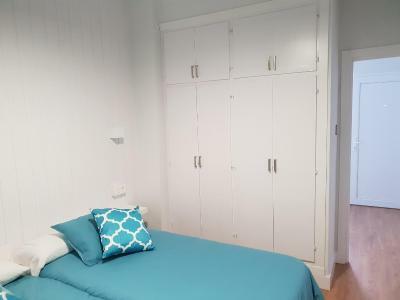 The room was plenty large enough for two with good storege space and a fridge. room very dated with very depressing décor. Not a place that you would wish to relax in. Walls very thin so noise from other rooms. Outdated bedding. location near bus station where you can catch No. 33 into the city which takes about 15-20 minutes for Euro 140 each way. Parking on site. Value for money. The room didn’t have any facilities such as tables or chairs, although there was plenty of room. 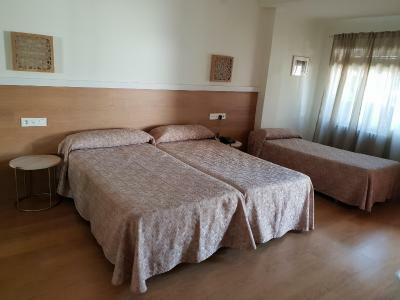 It's a really well priced option if you are visiting Sierra Nevada on a budget because the hotels are really expensive in Sierra Nevada. This one is right next to the bus station and I was able to take a bus to Sierra Nevada for 5 euros. 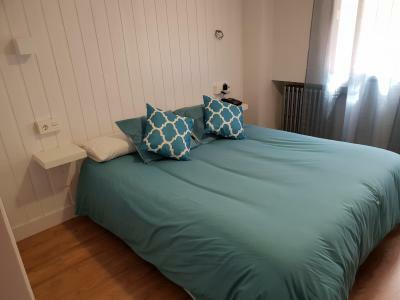 The receptionist is really friendly and the room was spacious, warm and comfortable. I will be back in the winter. Sad that the 'apartments' which used to be available are not to be replaced. 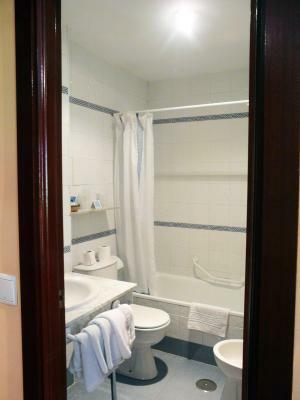 The very best value for money in Granada, which is one of the great Cities of Spain, and the world. They will apparently close for a short period in May to undertake developments to replace the pool and restaurant lost when a supermarket was built on ex-Hotel land. That supermarket is a great resource for the Hotel.